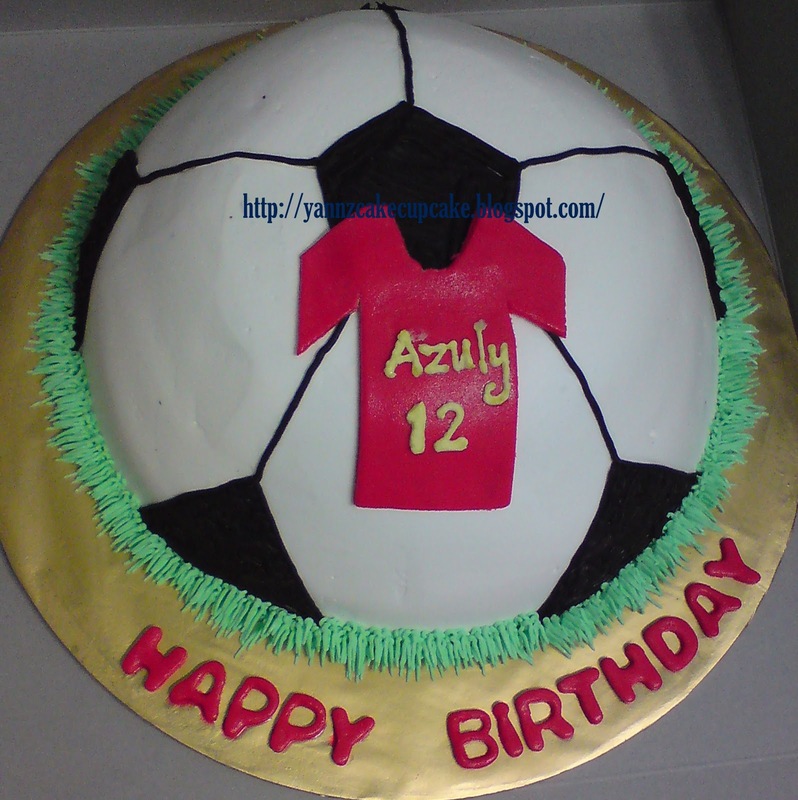 2 cakes ordered by Ms Ida for her son, Azuly and her daughter Amanda birthday. 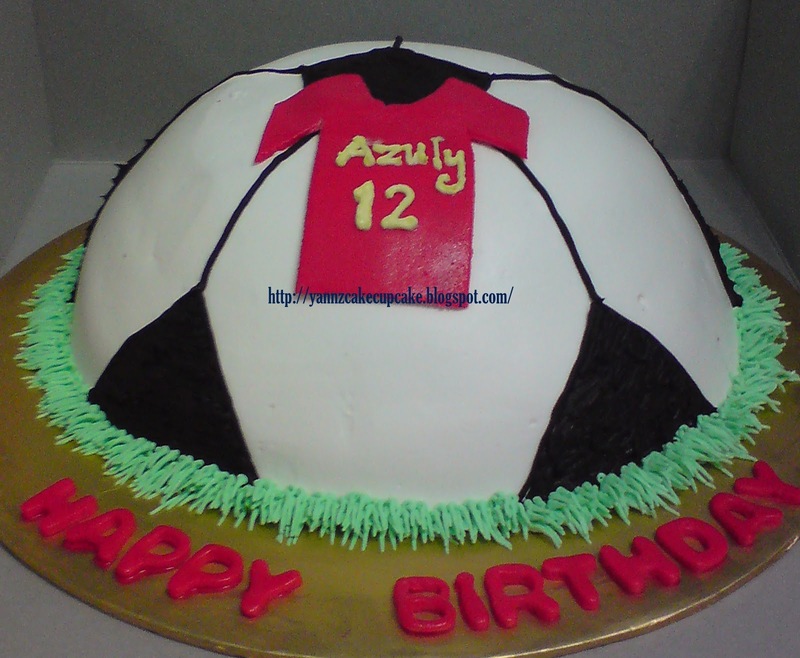 For Azuly is half soccer ball for his 12th Birthday. 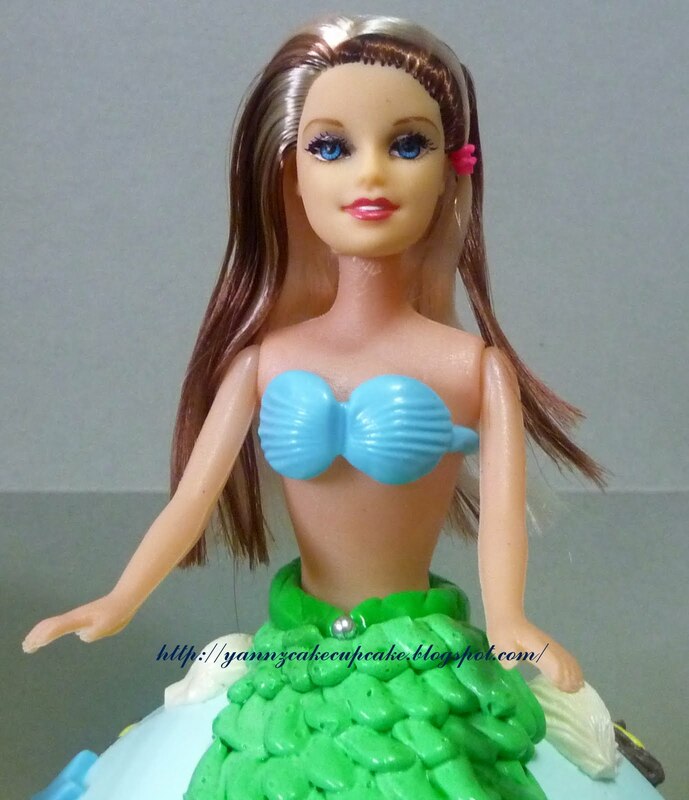 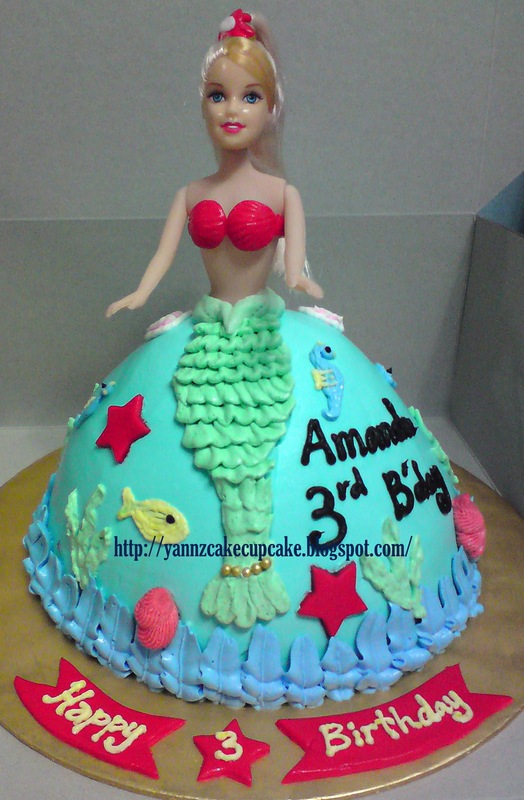 Meanwhile for Amanda, Ariel Princess Cake for her 3rd Birthday. 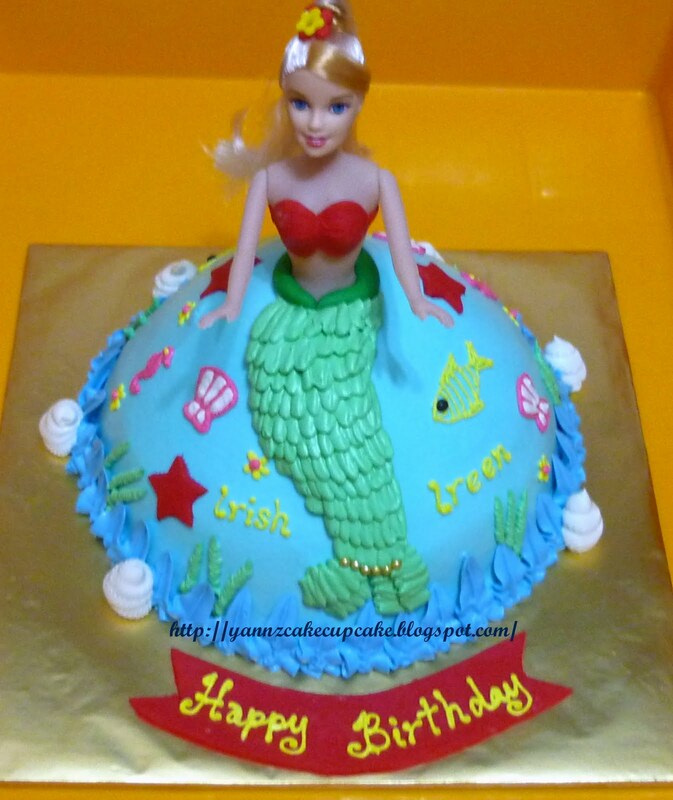 Thanks for ordering and happy birthday dear.. 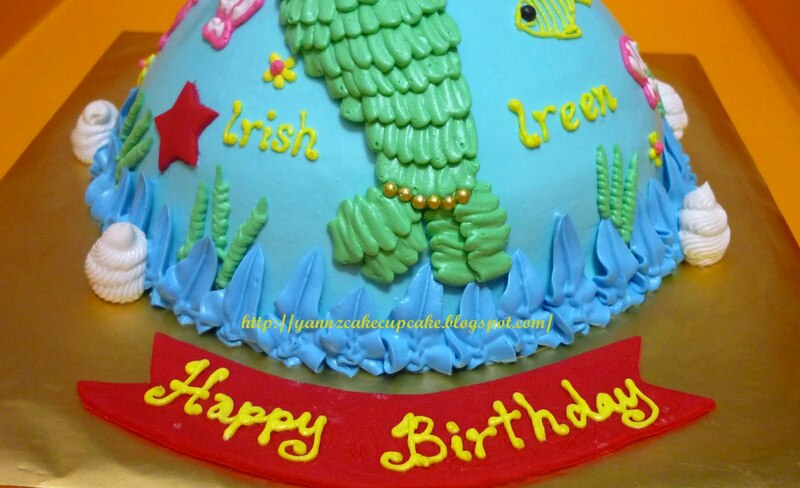 This order is place by Ms Elly for Ireen and Irish. 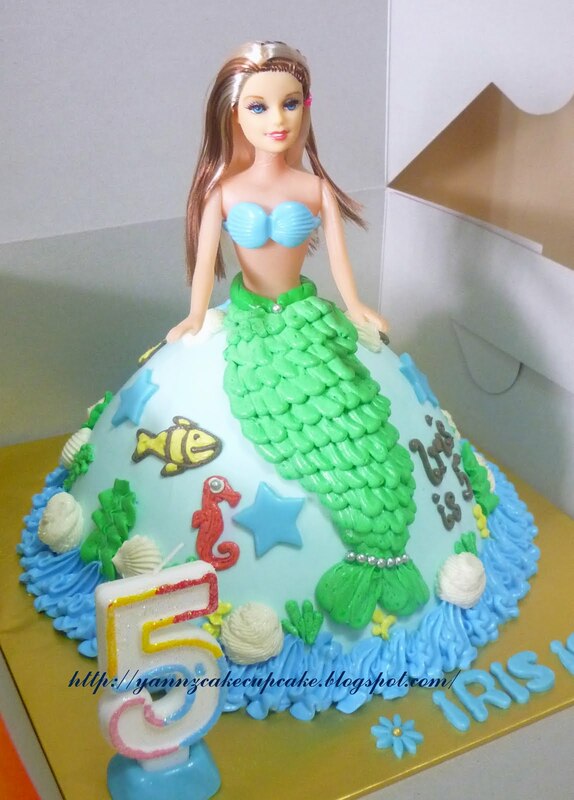 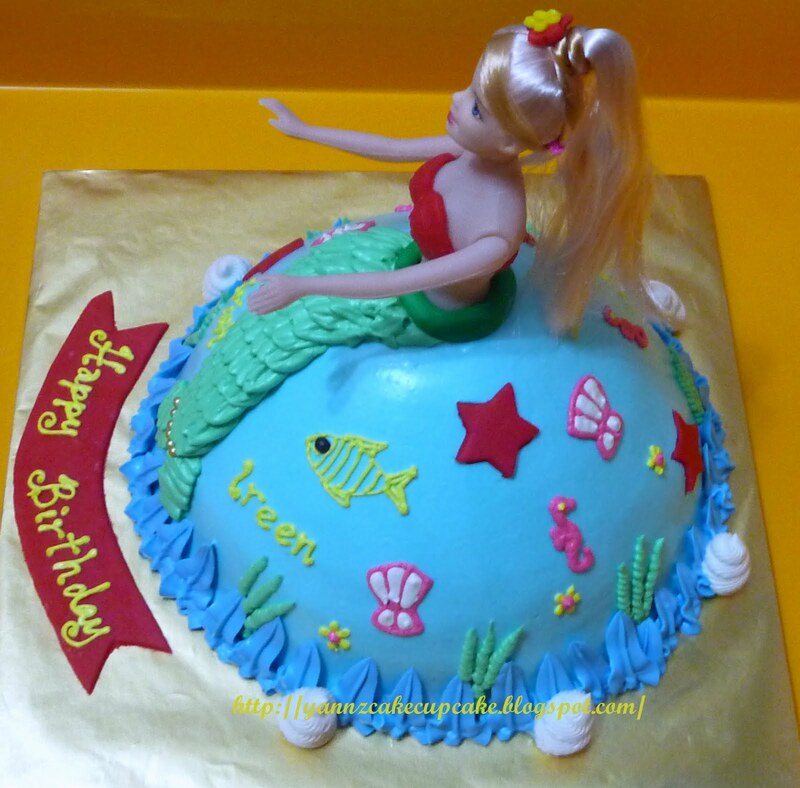 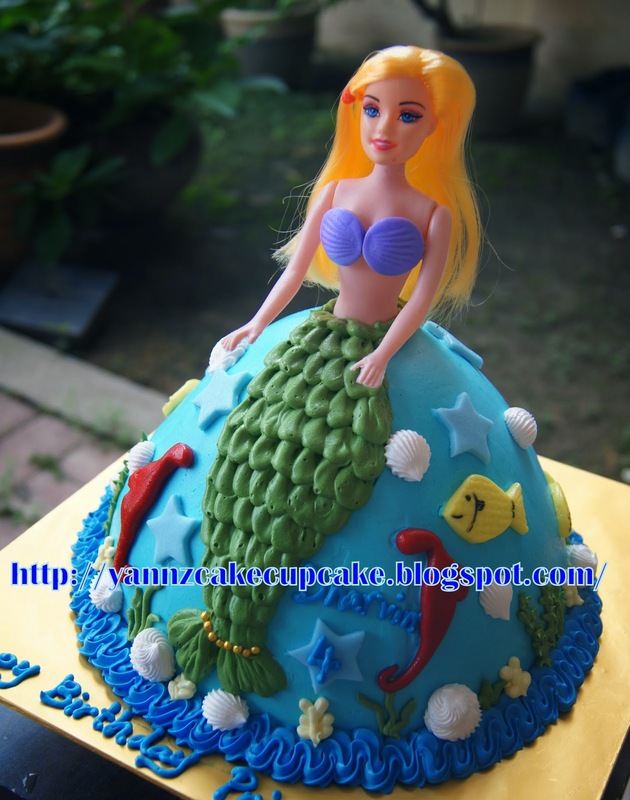 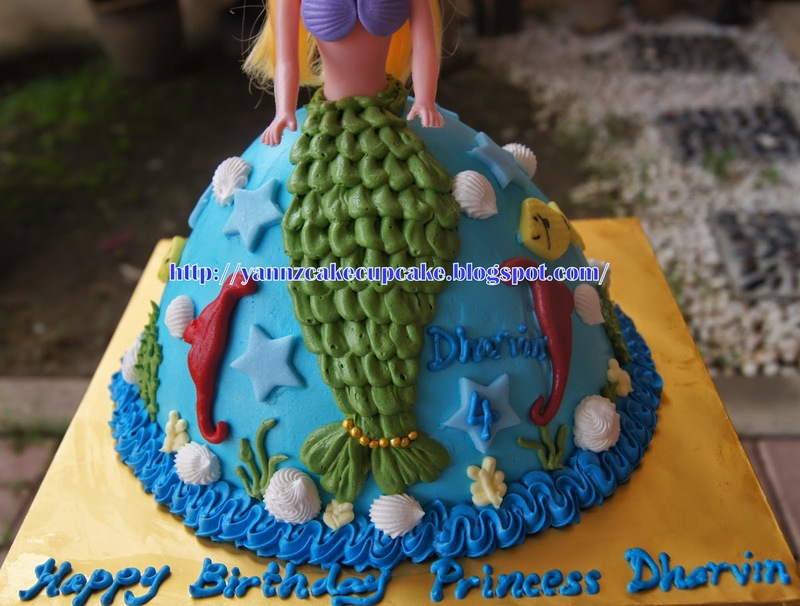 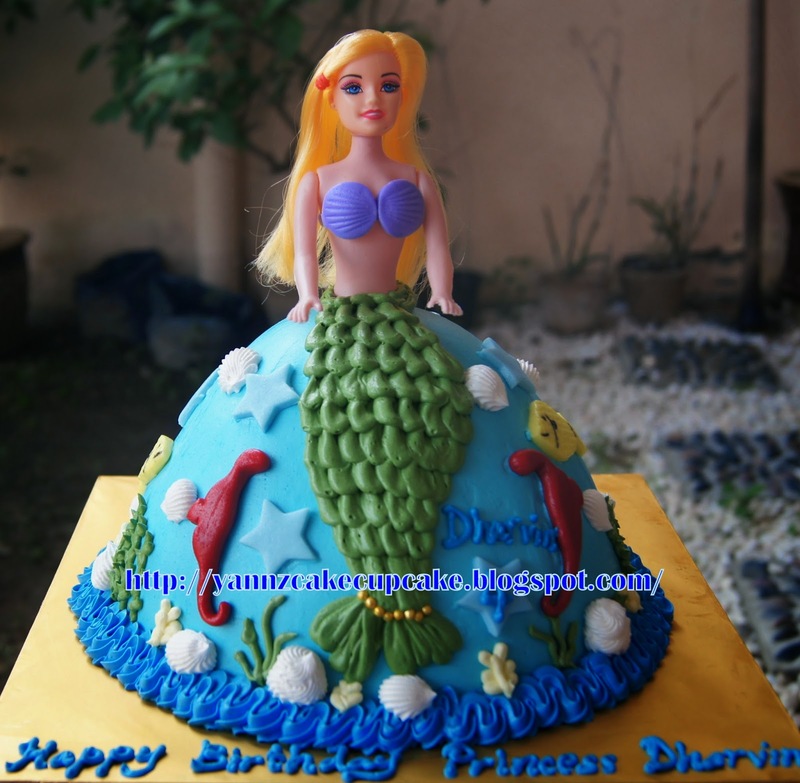 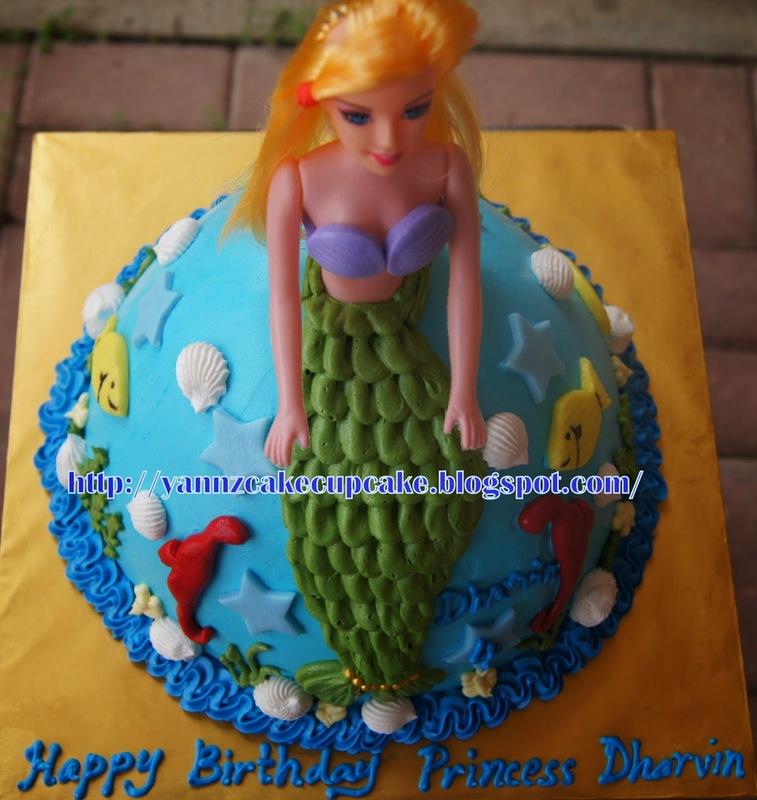 She request 3D Ariel Princess with buttercream. 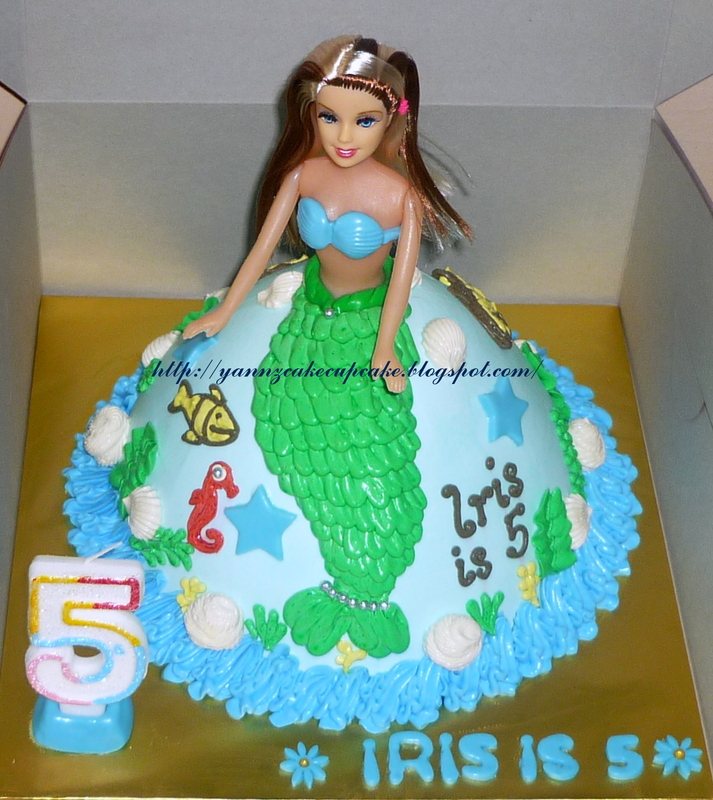 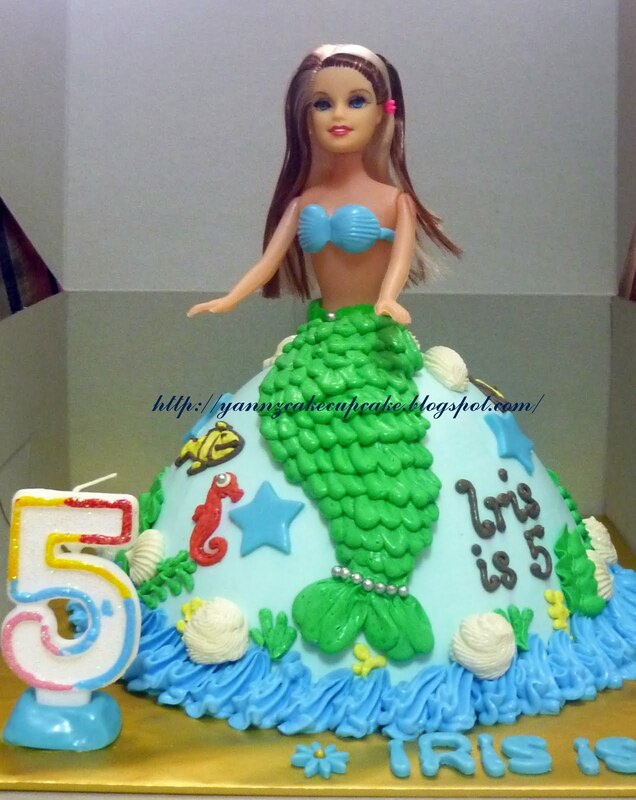 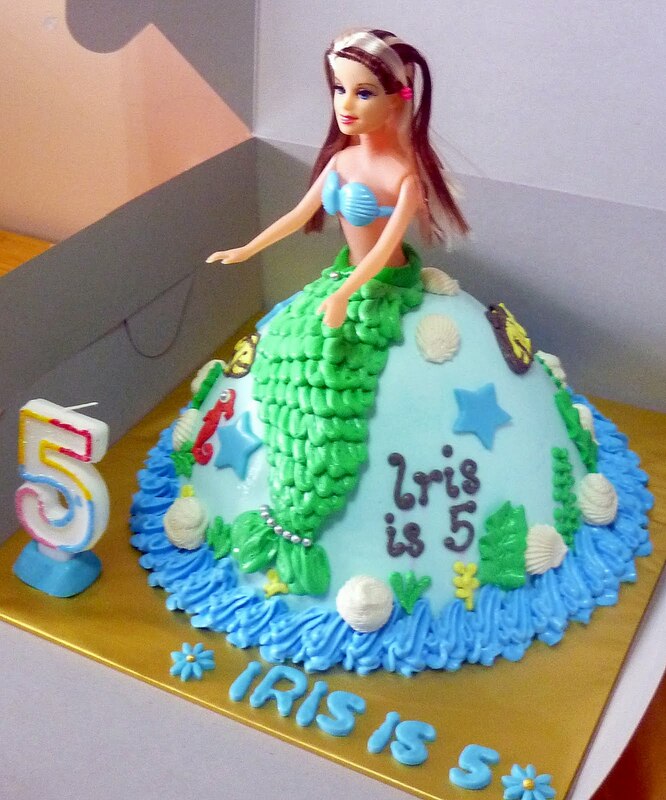 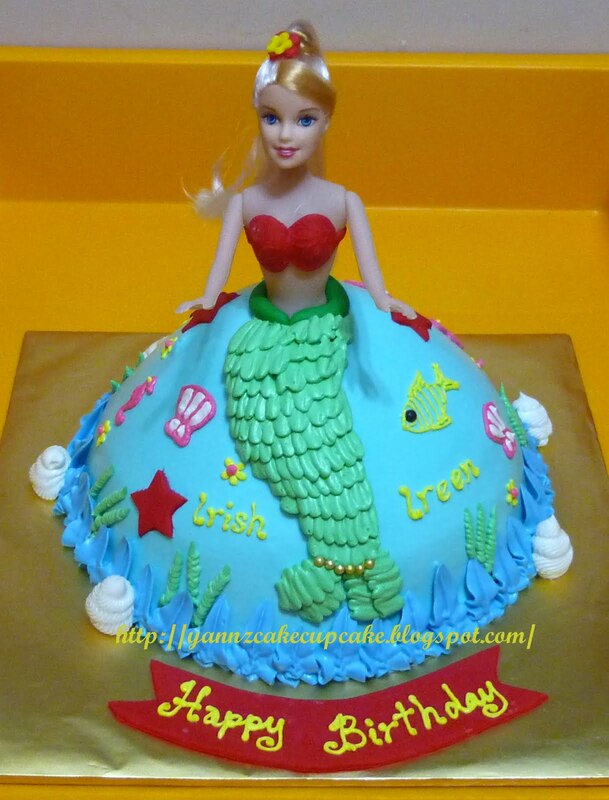 Cake inside is Choc Marble Cheese..
Ariel Mermaid Princess Cake order by Ms Iffah for her daughter Iris, who turn 5 this years..